Spieth struggled Sunday, never able to make a run at the tournament where his historic 2015 season started. PALM HARBOR, Fla. – Jordan Spieth was flanked by his caddie, Michael Greller, and his agent, Jay Danzi, as he signed and selfied for fans at the Valspar Championship at Innisbrook on Sunday. The golf had been a disappointment. Spieth had begun the day with an outside chance, six shots back of 54-hole leader Bill Haas, but had shot a lackluster 73 to finish even par and in 18th place, seven shots out of the Haas/Charl Schwartzel playoff. He’d even lost to his amateur playing partner, Lee McCoy (69), a sponsor’s invite who finished fourth. "We are about the same age, so I can't take too much pride in beating him today," said McCoy, a senior at Georgia who is scheduled to play a 36-hole college tournament Monday. "He didn't have his best stuff." "Jordan! Jordan! Jordan!" a boy said from somewhere in the clot of fans. "I'll get there! I'll get there! I'll get there! I'll get there!" Spieth said. Spieth is still the No. 1 player in the world. He is still the same guy who won five times last year, including two majors and the $10 million bonus for winning the FedEx Cup. He still signs a ton of autographs, poses for pictures, and is met with a whole lot of hands to bump knuckles with or high-five as he walks from every green to every tee. He's just off, and maybe not by that much. 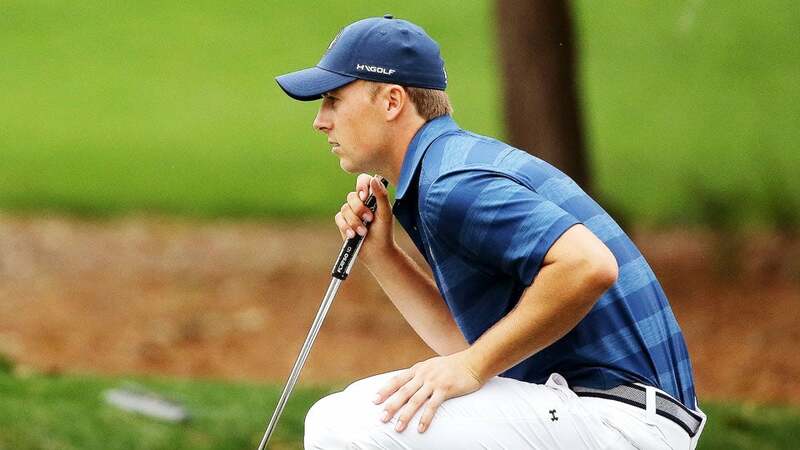 "Just really poor from me and Michael today—just our decisions cost us a few shots early, and all the momentum," Spieth said after going 2 over par for his first eight holes, including an ugly double-bogey at the par-3 eighth. "You know, we both get the credit when things are going good, and we're both gonna take the fall today. I hit the shots, but we made a couple decisions that make me look back and go, 'Wow, we've got some things to talk about before we get ready, going into a major.'" Is it time to panic? Spieth doesn't think so. He came to the Valspar having finished 17th at the WGC-Cadillac at Doral, missed the cut at the Northern Trust, and finished 21st at the AT&T Pebble Beach. Then he shot a 5-over 76 in the first round at the Valspar, and criticism came in from all corners on social media. Spieth fired back, calling one critic a troll and a hater before shooting scores of 68-67 to get back in the mix. Spieth's closing 73 came with the wind blowing every which way. Needing to make something happen early Sunday, Spieth flatlined at even par until dooming his chances with a costly hook off the eighth tee. The defending champion could play for little more than pride the rest of the way. "A bit of a bummer," he said, "but it's okay, we've got plenty of time. The ball-striking is getting close. Everything is, I would say, in a good place as far as being ready for the Masters. What's wrong? There is no obvious answer, because no facet of his game is so out of whack as to stand out. He is not hitting as many fairways (just seven of 13 for three of the four days here) as he is used to. He is not scrambling (22/34, 25th best in the field) as well as he usually does. And his strokes gained putting was in negative numbers for two of the four rounds. What's more, he said he never adjusted to the slowness of the greens. "I couldn’t trust any of my putts to get there," he said. "There's just no way, when you get out there, to think I actually have to hit it that hard and that high. At some point it's just not going to happen, and that's rare." Spieth will skip the Arnold Palmer Invitational at Bay Hill, but will be in action again at the WGC-Match Play in Austin, Texas, in two weeks. 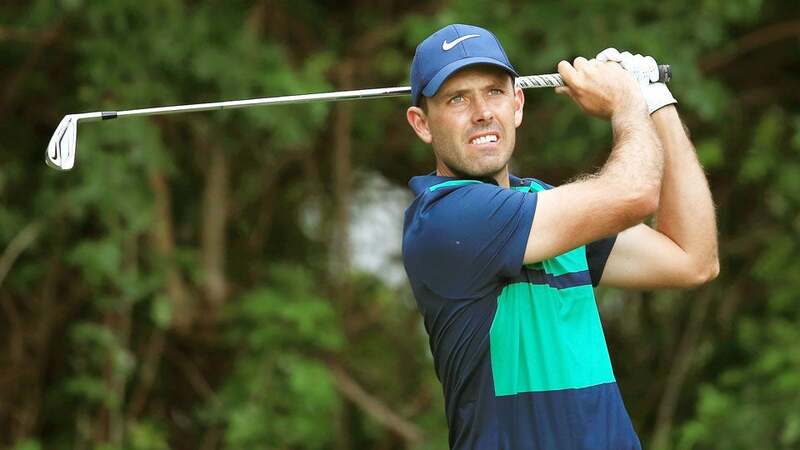 Job 1 will be to avoid the kind of slow starts that have plagued him in two of his last three starts—a 79 at the Northern Trust Open, a 76 at the Valspar.